Then with the switch levers pointing down you carefully pry open at the arrows. You may want to put the whole thing in a large plastic bag to do this and set it on a table facing down. Once you get it apart you'll see the contacts which look like little silver barbells and small springs underneath them. that will be all you need to do to them. around a quarter turn and then reassemble the whole thing. Reinstall the switch and try it. Also after you sand the flat plate smear some of the conducting grease that you didn't disturb back over the areas you sanded. 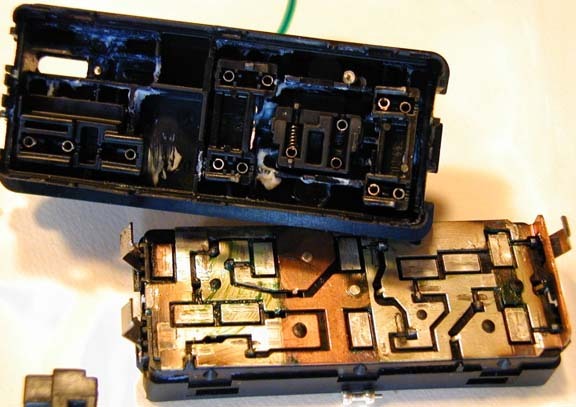 The same thing can be done to the window switches, sunroof switch and transmission mode switch. 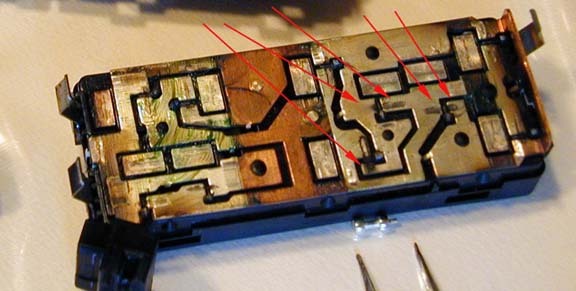 All of these switches have the same spring setup and contacts. They have the same spring setup and contacts. 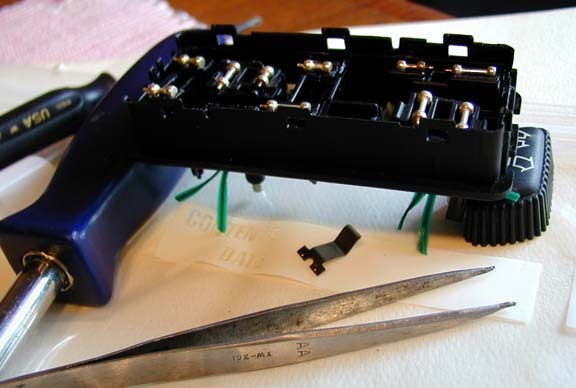 I have personally used this procedure to fix and repair my seat switches.